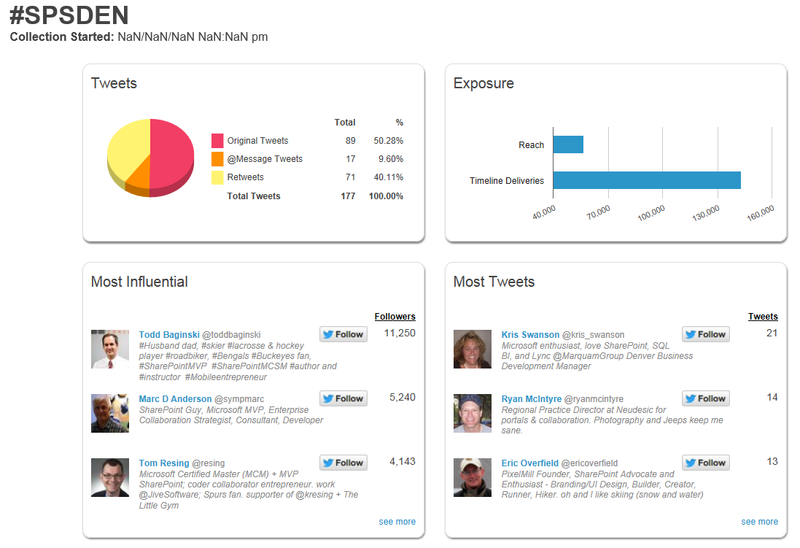 The unofficial results of SharePoint Saturday Hashtag battle are in for Saturday, November 9th 2013. 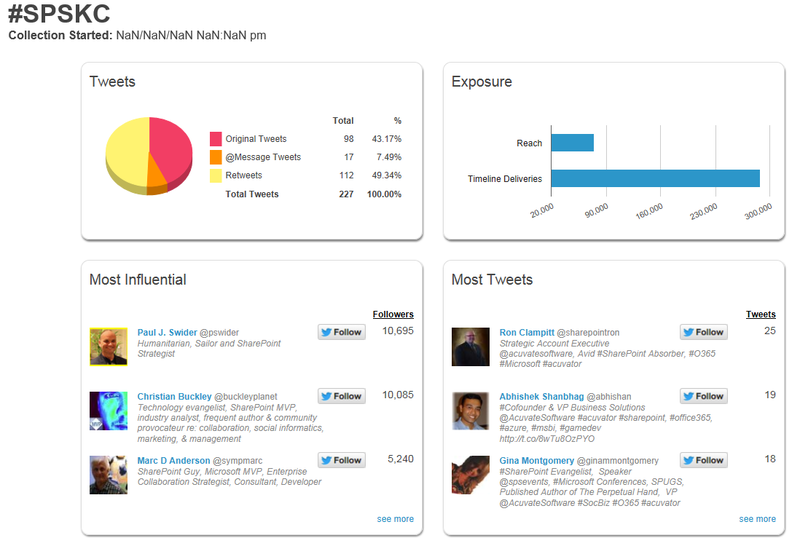 Using Hashtags.org I compiled the following graphs. 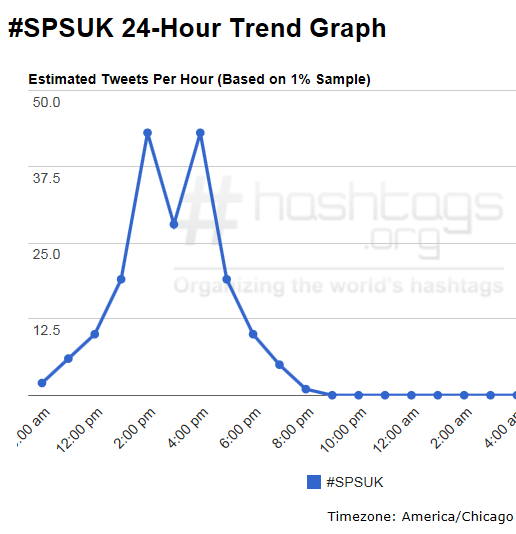 SPSUK reached a max tweets per hour of 45. 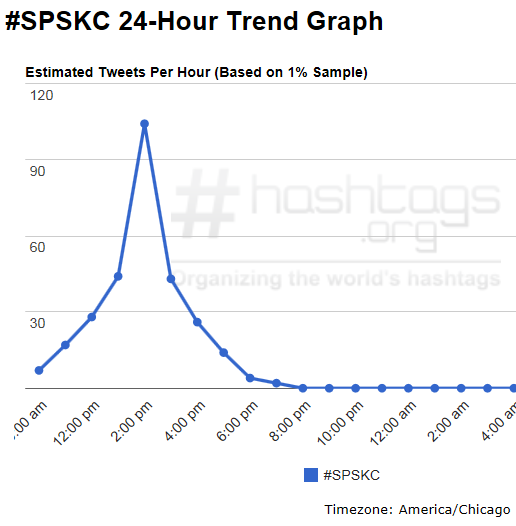 SPSKC reached a max tweets per hour of 102. 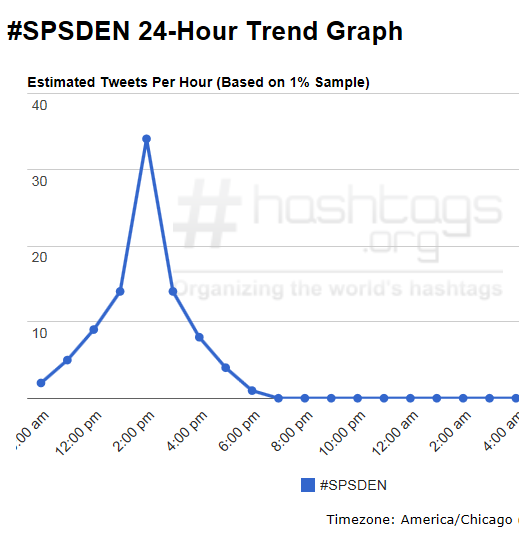 SPSDEN reached a max tweets per hour of 35. 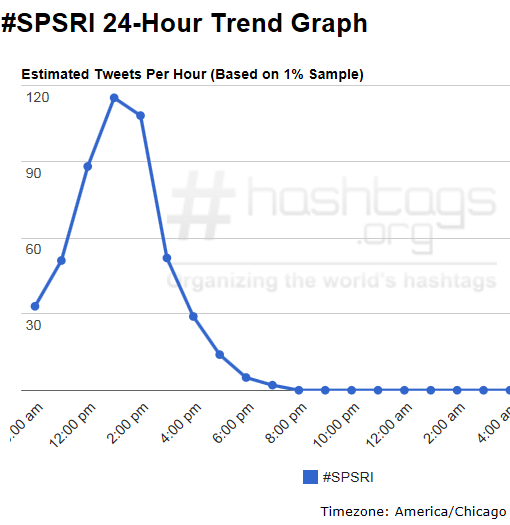 SPSRI reached a max tweets per hour of 117. 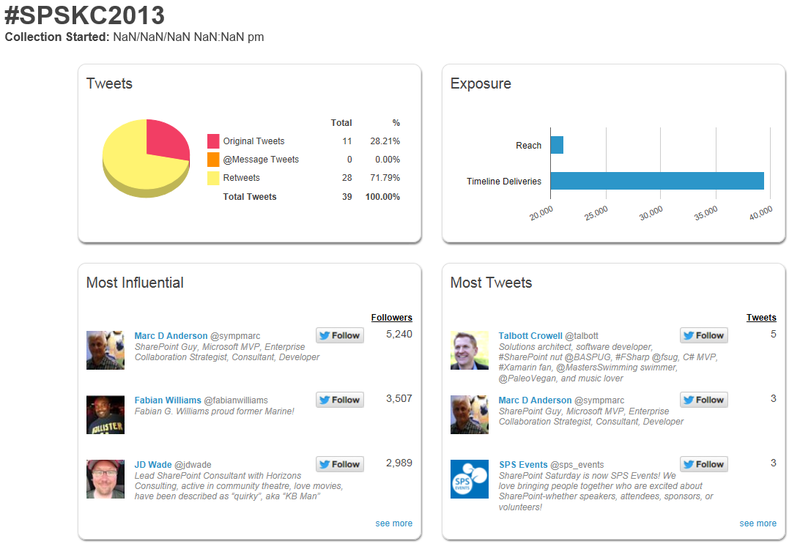 In total #SPSUK has 528 original tweets (but does that include last year?). 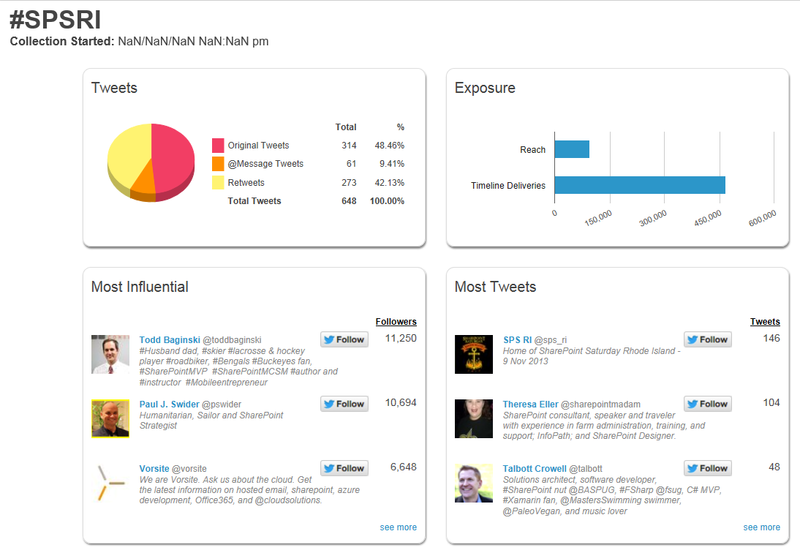 In total SPSRI had 314 original tweets. 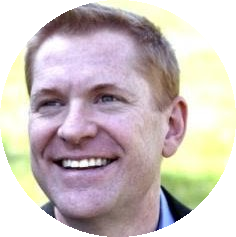 In total Kansas City had 11 for #SPSKC2013 which is the hashtag mentioned on their web site but 98 for #SPSKC, sot the total is 109 if you include both. 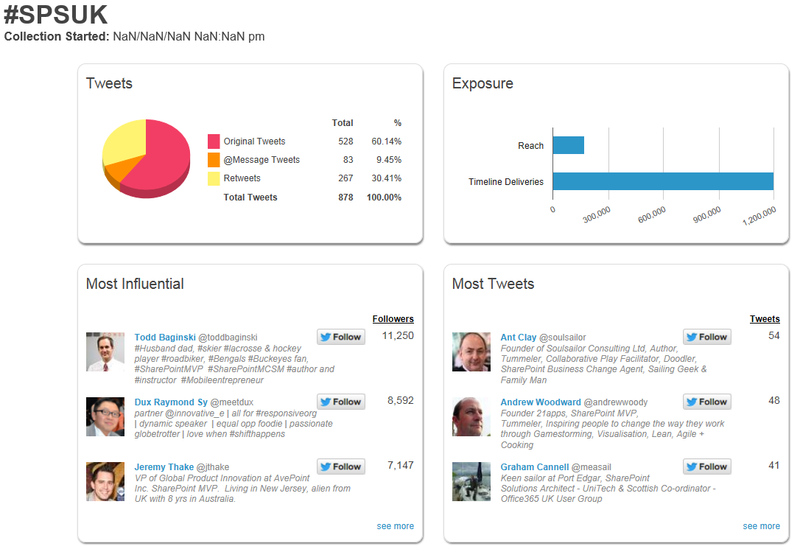 In total #SPSDEN had 89 original tweets. November 10, 2013 in Uncategorized.